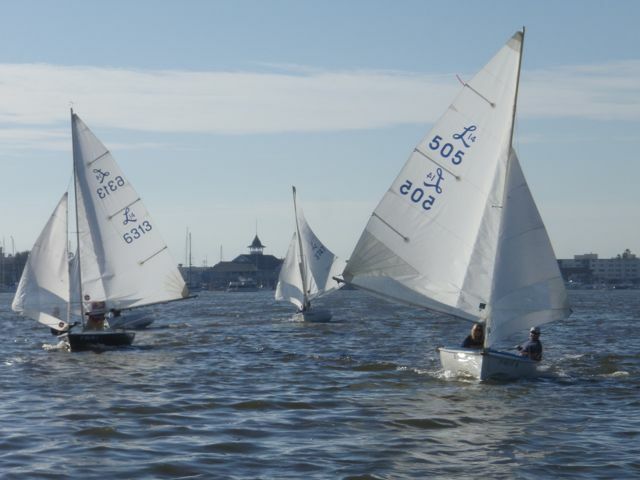 NOTE: This event was rescheduled from October of 2009 - thus it is officially the 2009 Ullman B Regatta. 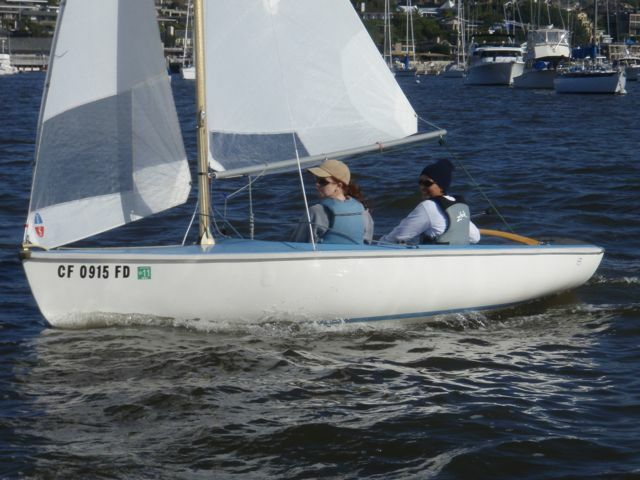 The 2010 Ullman B is scheduled for October of 2010. 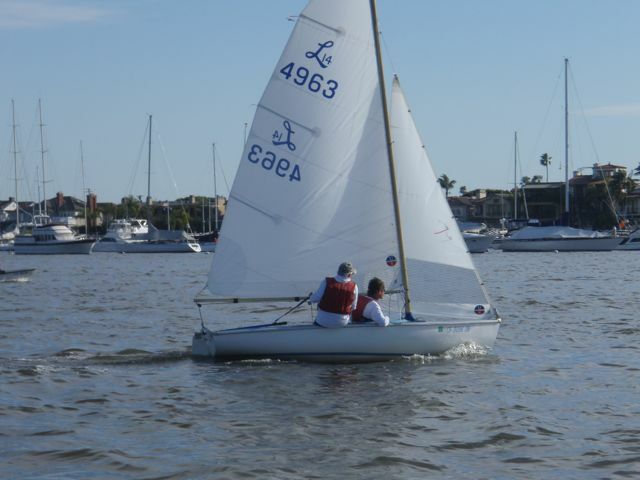 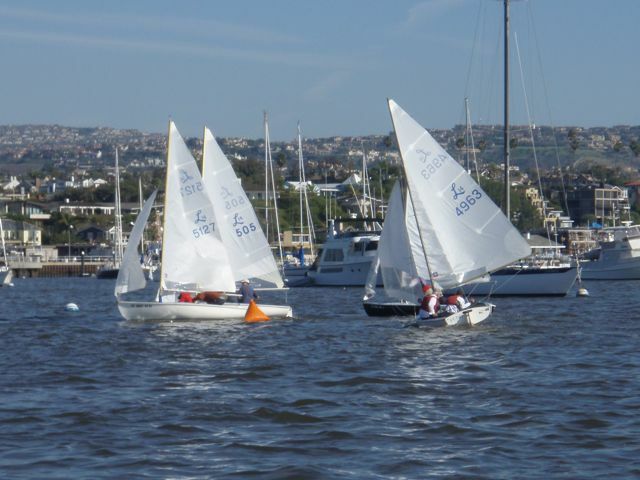 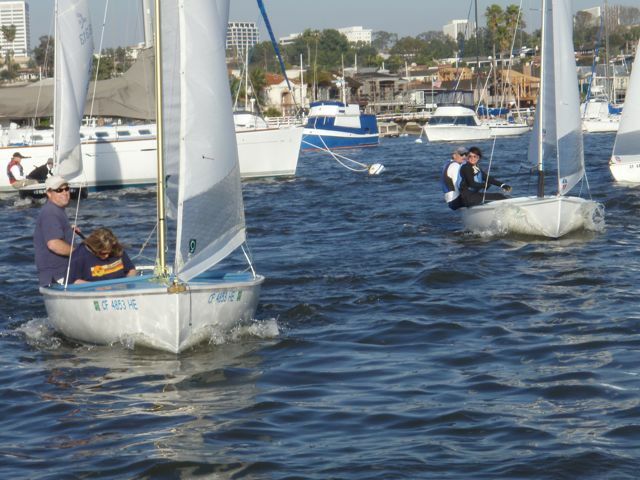 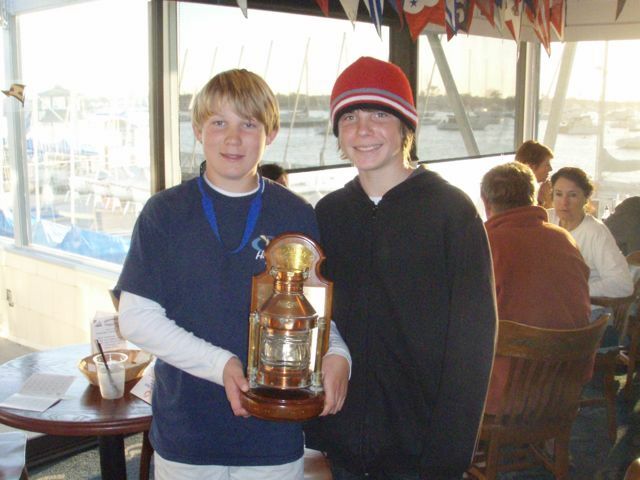 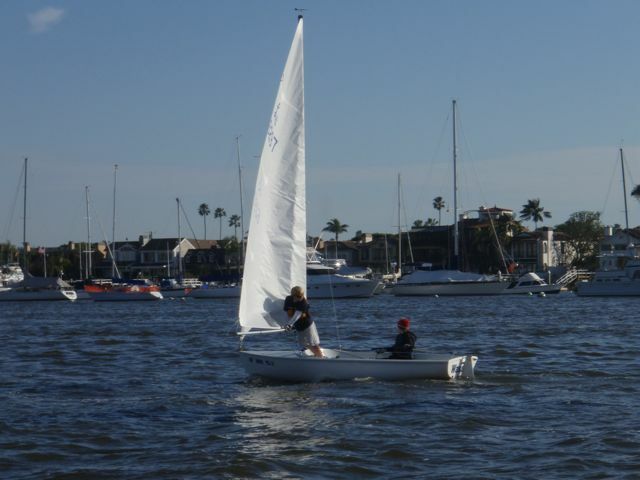 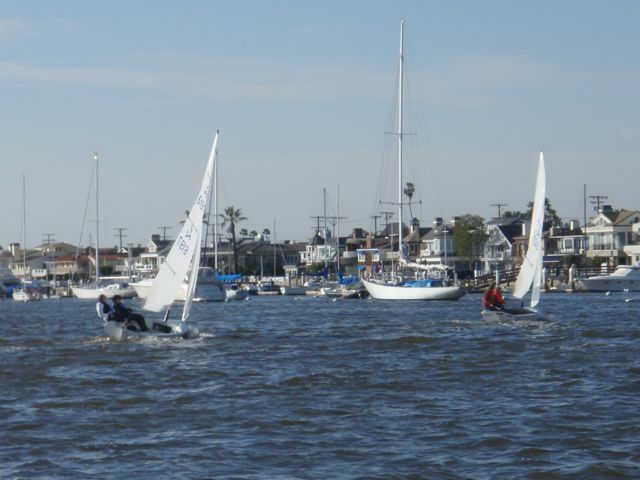 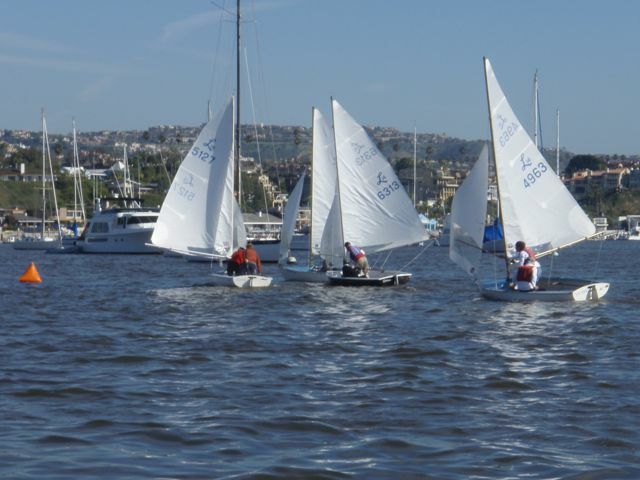 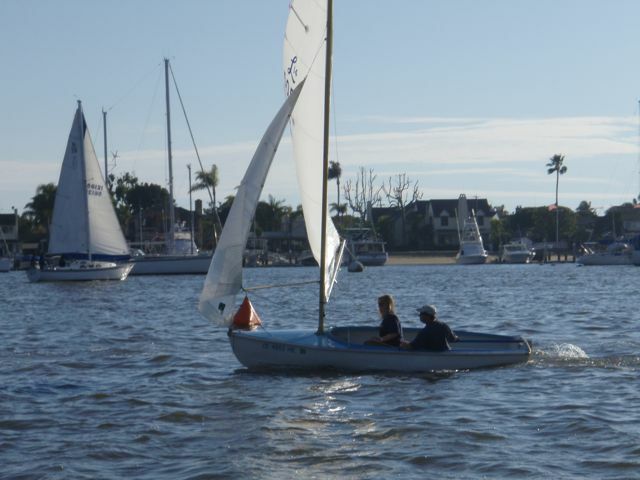 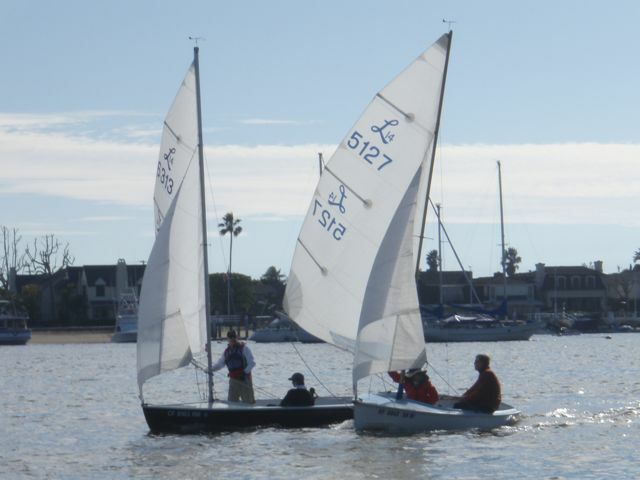 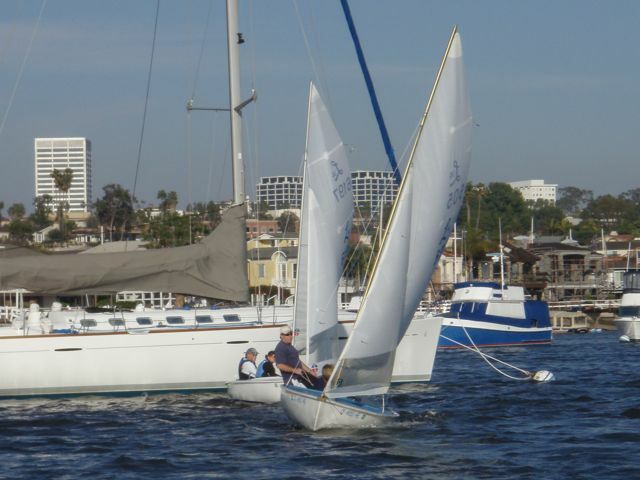 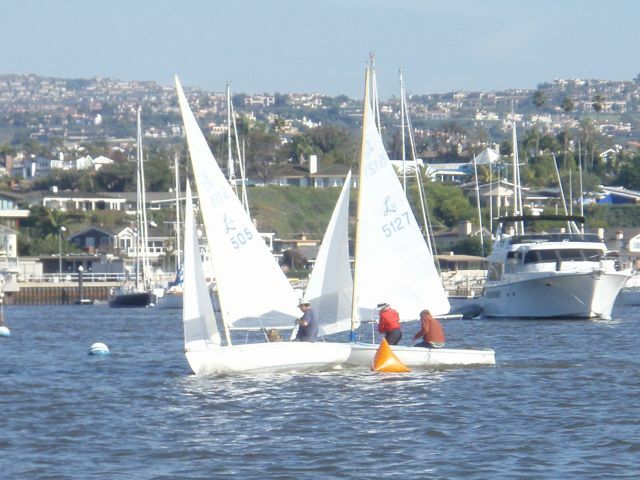 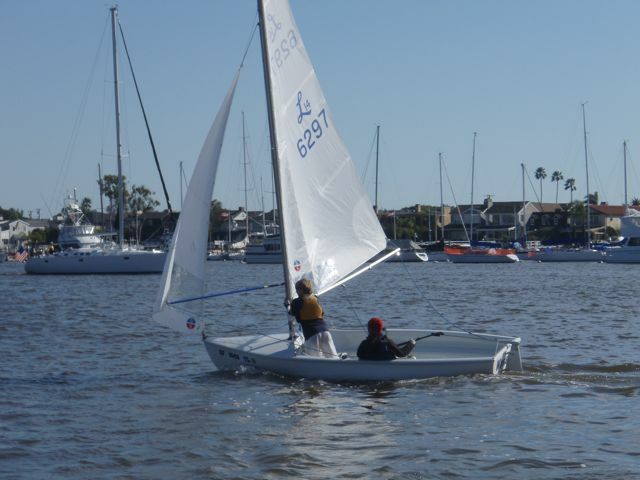 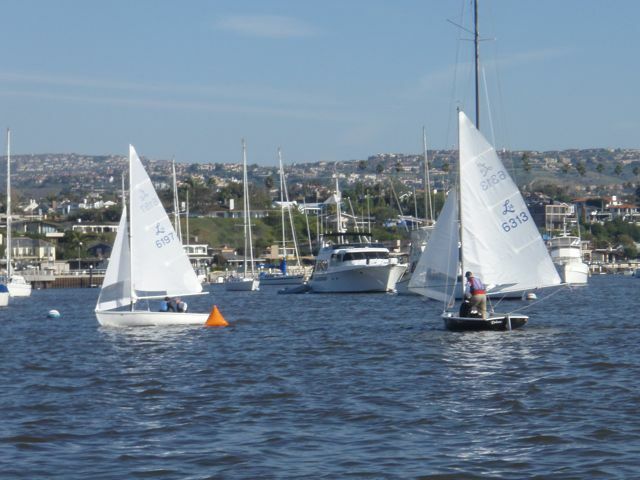 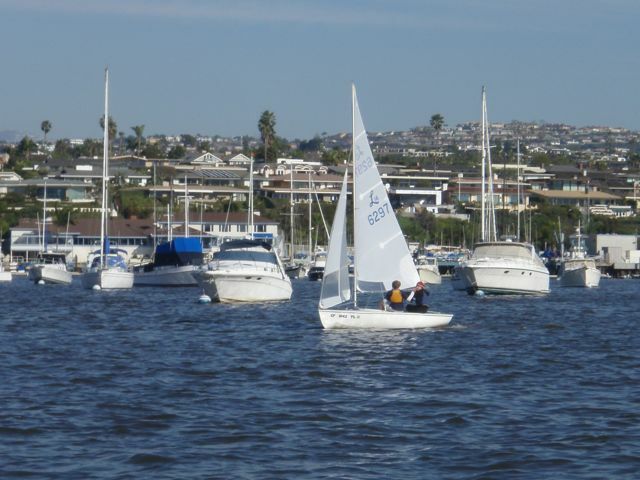 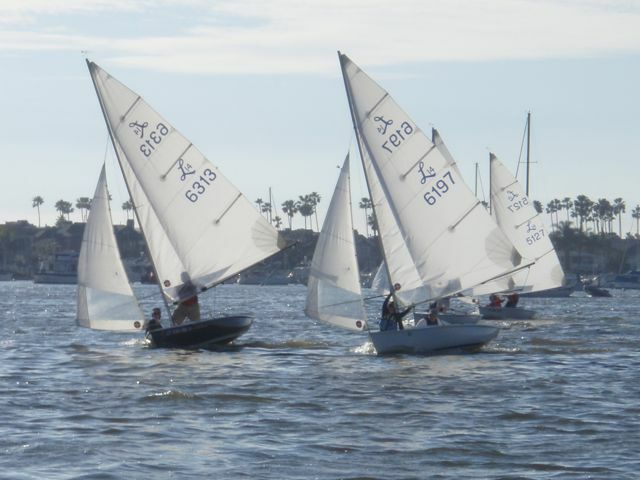 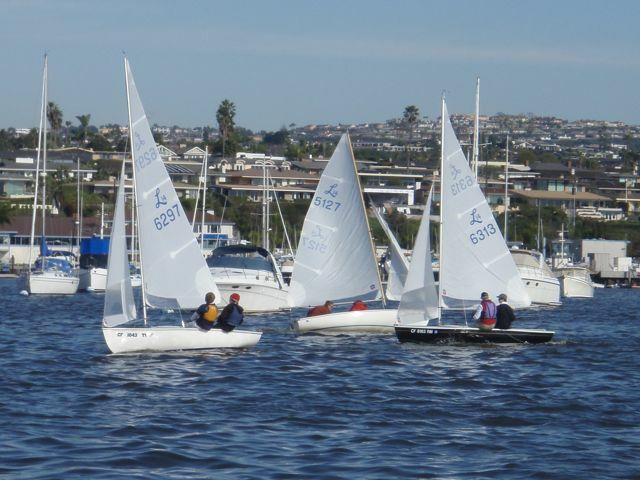 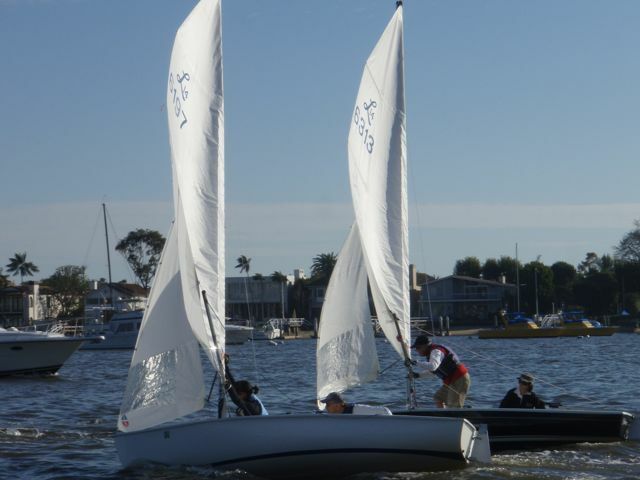 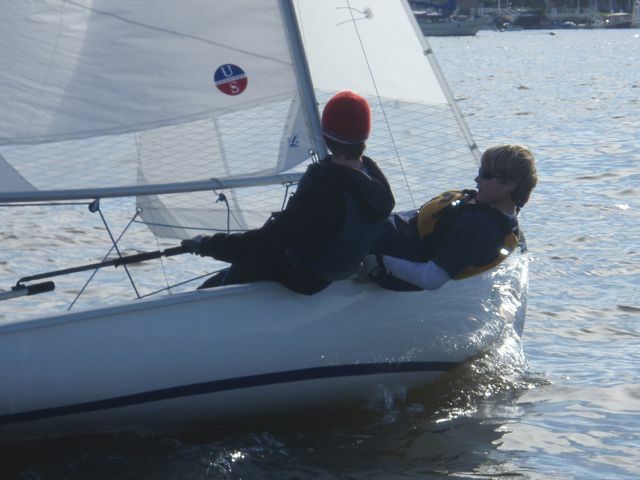 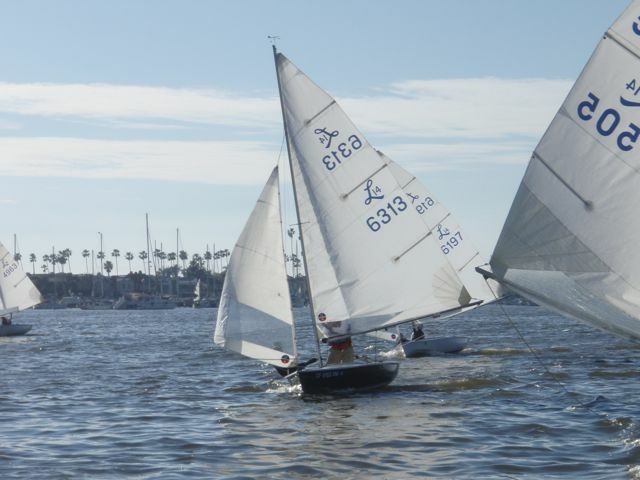 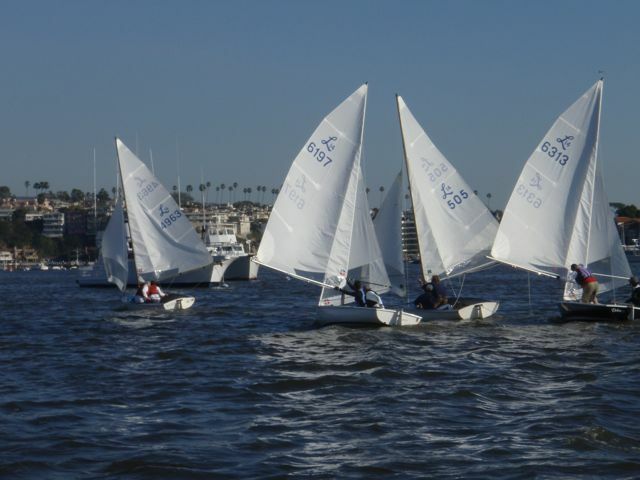 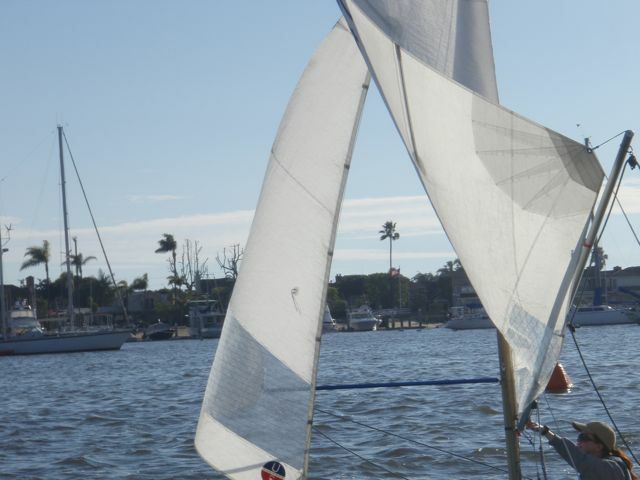 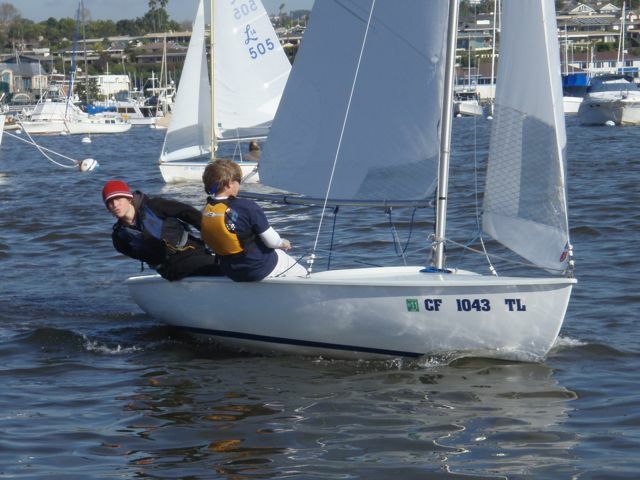 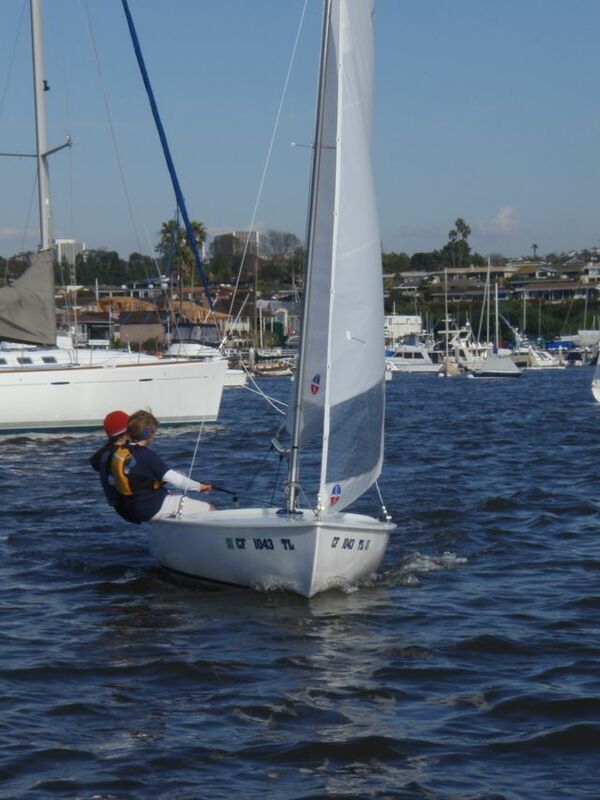 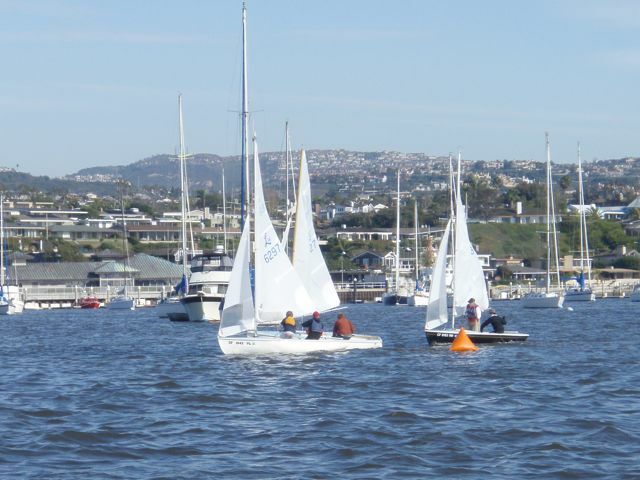 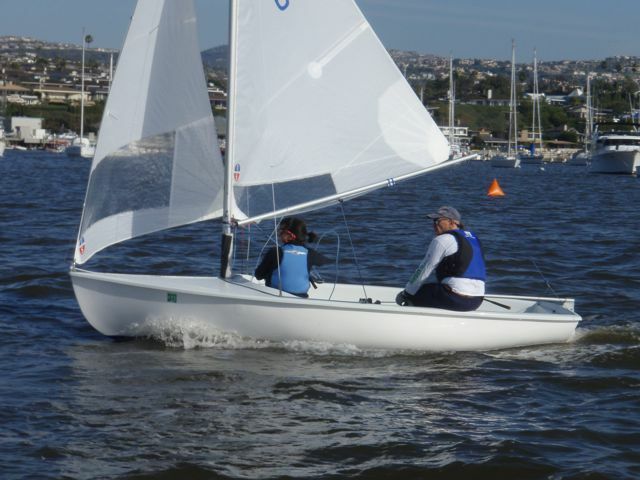 The team of Christophe Killian and Harrison Vandervort, both junior sailors at Balboa Yacht Club, dominated the competition at the Ullman B Regatta - comfortably winning 4 out of 5 races. 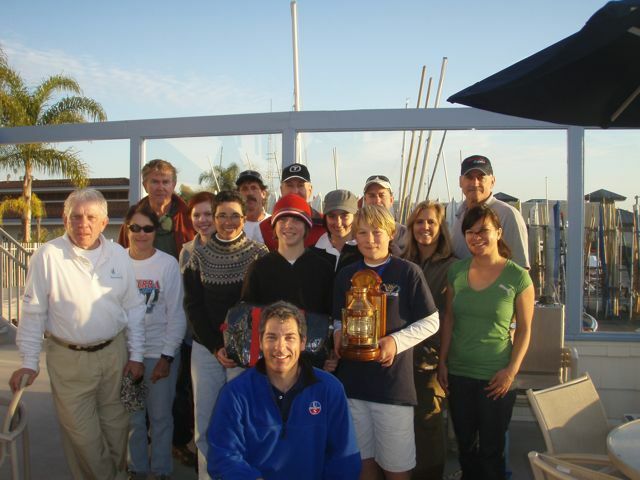 This is the third time that Christophe has been on the Ullman B winning team: first in 2005 as crew for his father Chris, then in 2007 as skipper with his mother Cathi crewing, and now as skipper with Harrison as crew. 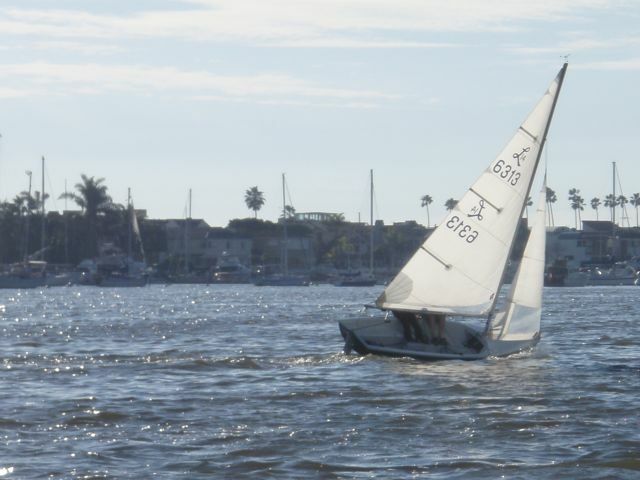 This young team sailed with poise and skill that was a pleasure to watch but if you know of Christophe's efforts in sailing, it might not come as a surprise: he races Naples Sabots, Optis, Lido 14s, to mention a few. 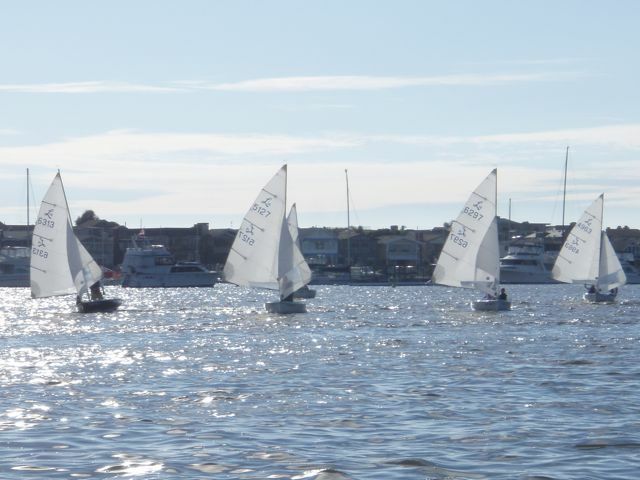 The conditions for racing could hardly have been better too. 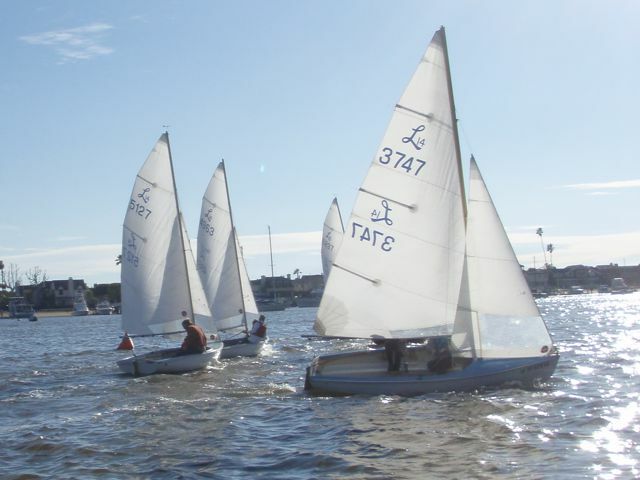 With the recent spate of winters storms gone, the sunny skies and 8 to 13 mph winds were an excellent offering to entice sailors back onto the water. 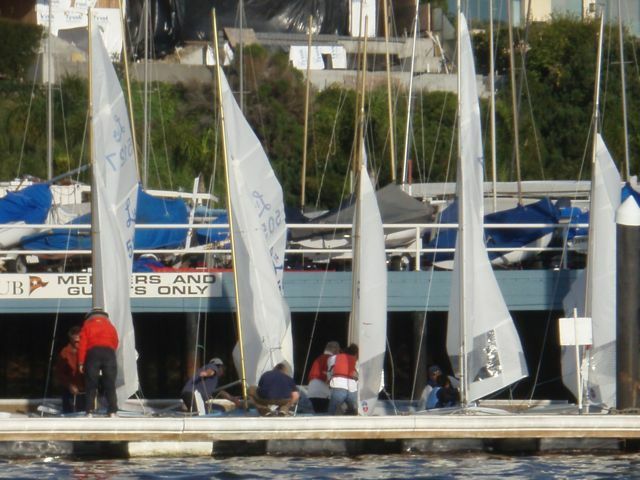 Lastly, it's important to note that every person attending the regatta (and some) also participated in the morning racing clinic. 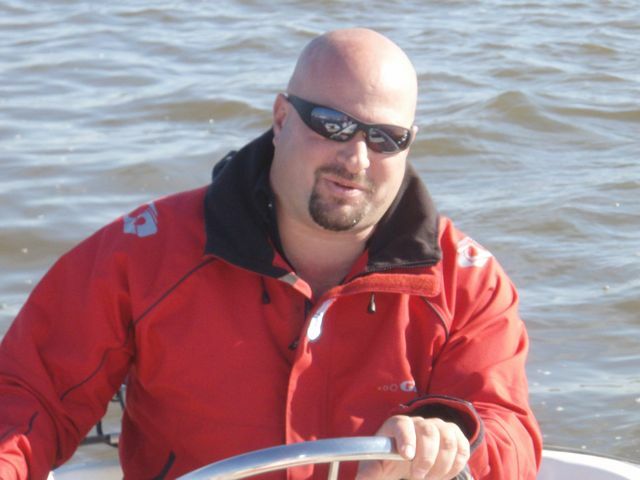 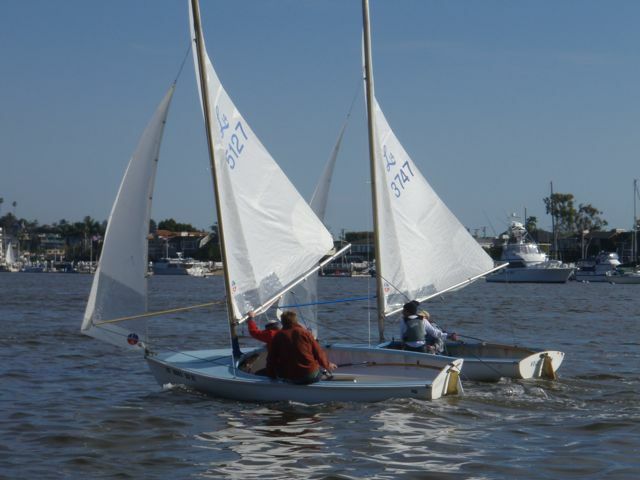 Topics included racing strategy, boat handling, racing rules, and more. 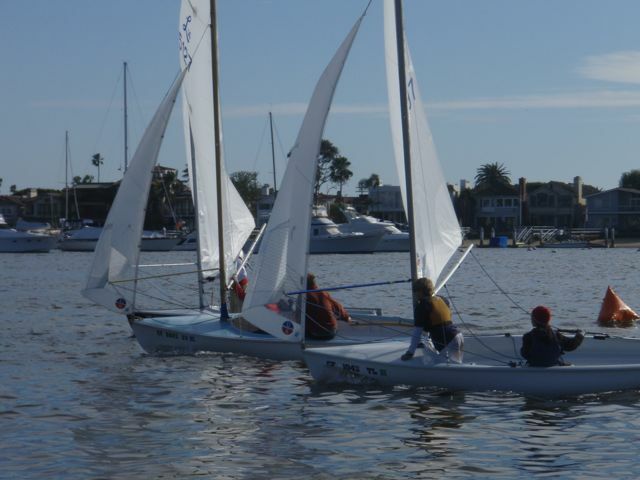 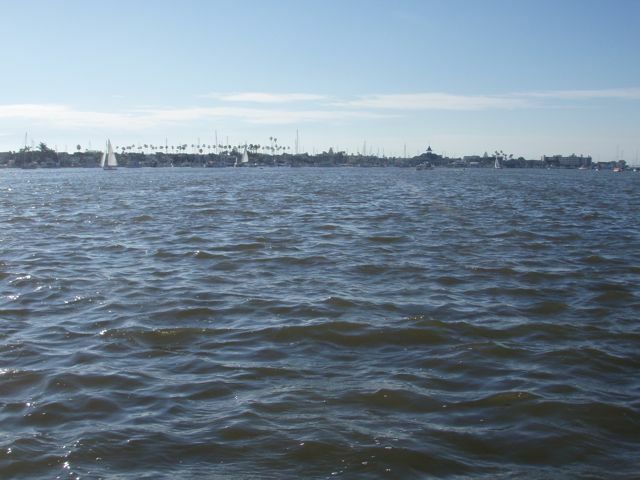 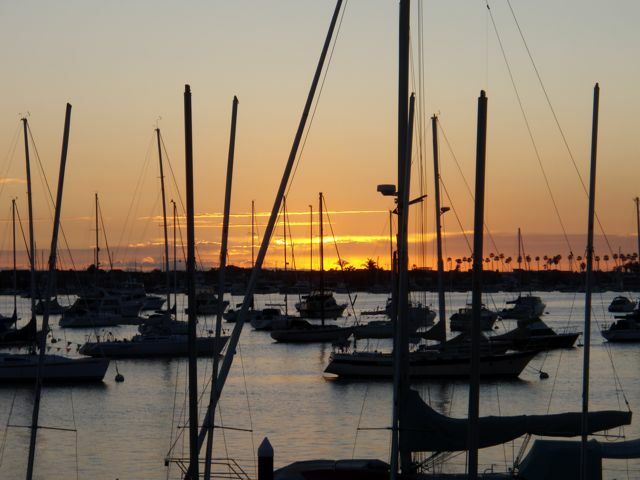 A big thank you from Balboa Yacht Club to all those that participated and lent a helping hand. 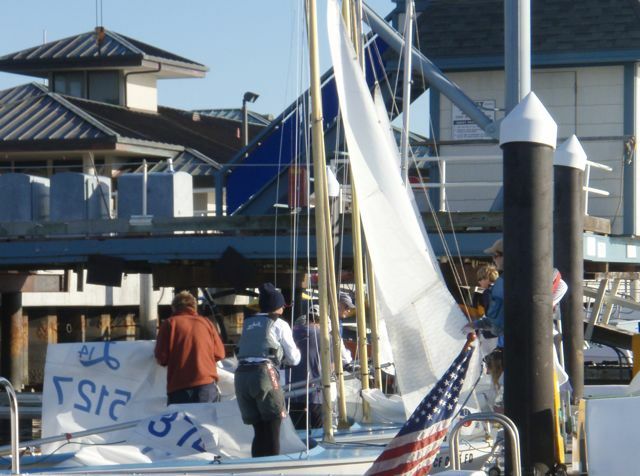 And a special thanks to both Dave Ullman, who had the vision to create this event, and to Bruce Cooper of Ullman Sails for his donation of an duffle bag. 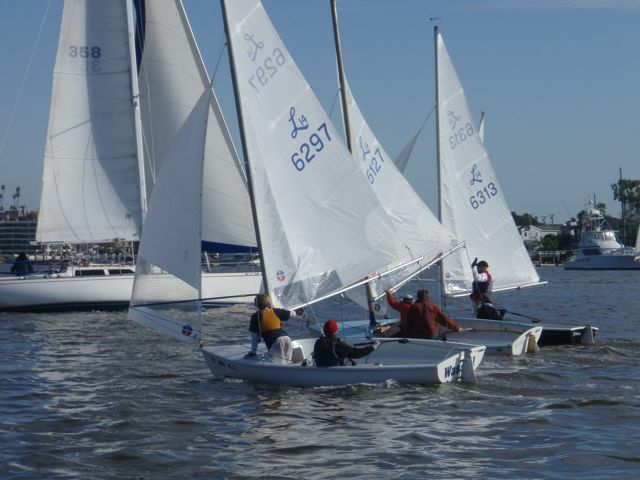 Much of the success of the Lido 14 Class is due to the the two levels of racing - "A" (advanced) and "B" (novice and intermediate) offered. 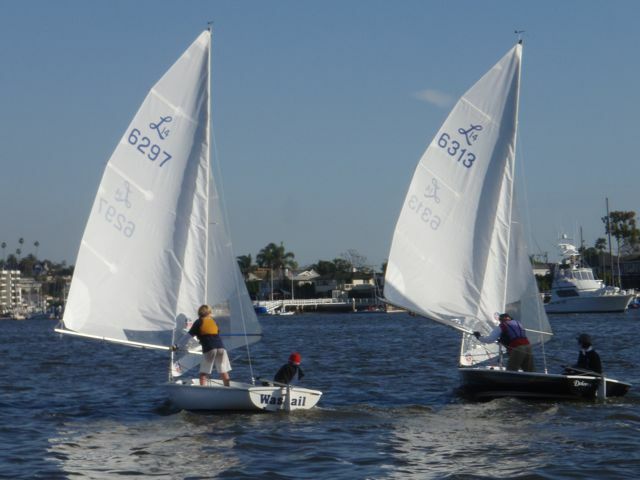 In the early years of the class, racers had to win a B level event before they were entitled to race in the A fleet. 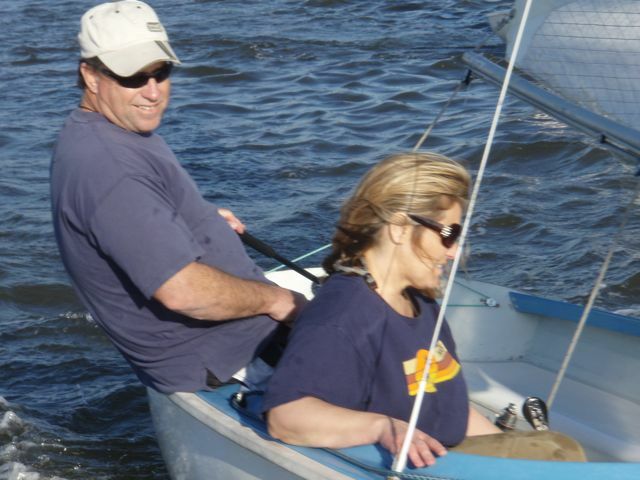 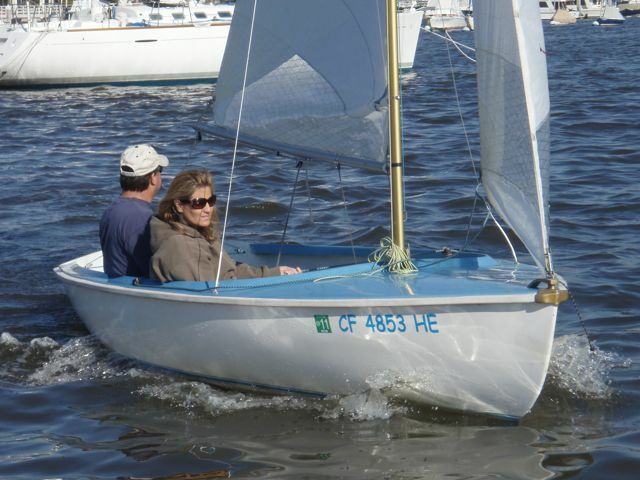 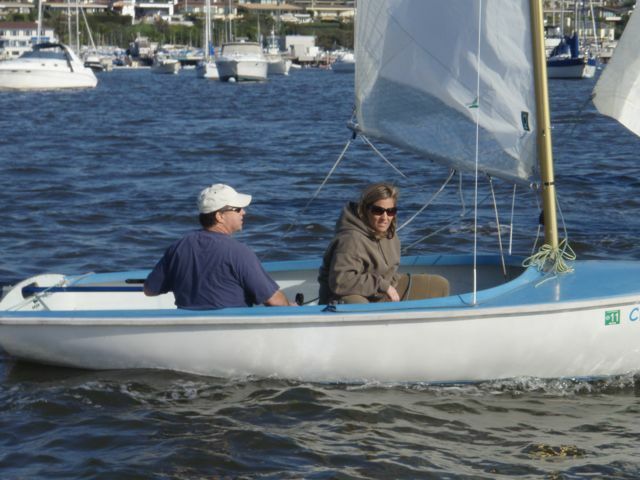 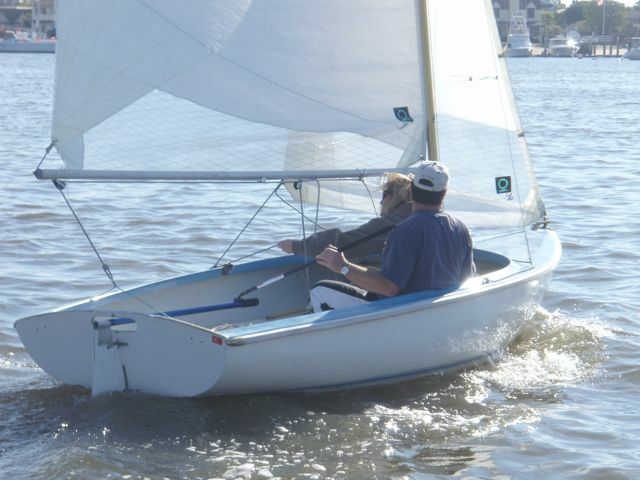 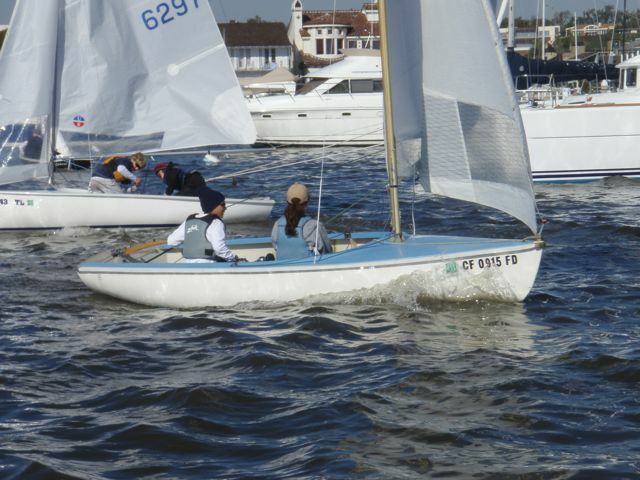 The popularity of the boat drew a lot of novice sailors to racing. 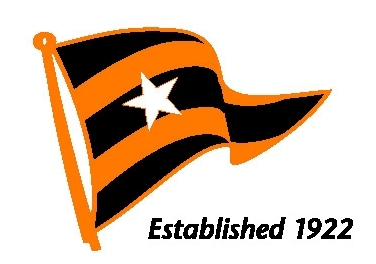 That, combined with the hurdle of having to win a B event to gain entry into the A division, meant that the B fleet was often quite large and self sustaining but they were invariably in the shadows of the A division - never garnering the attention they probably deserved. 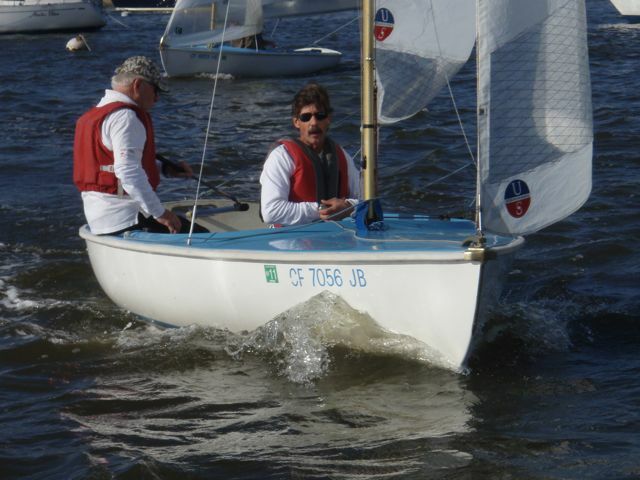 Dave Ullman recognized the need to highlight the B sailors and created the Ullman "B" event to do just that. 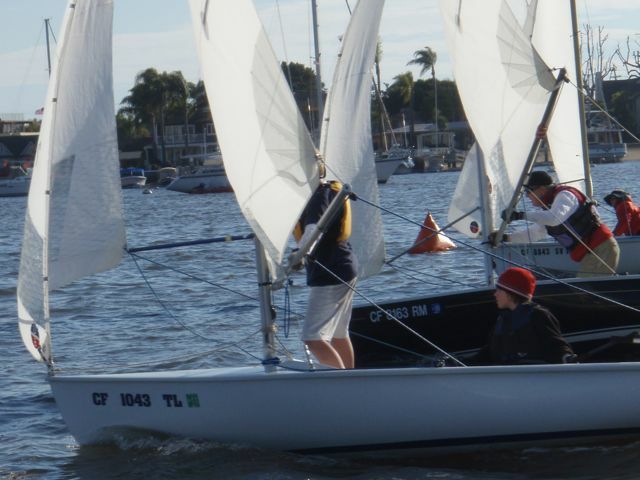 To paraphrase Dave, the Ullman B was meant to be a "B" championships of sorts. 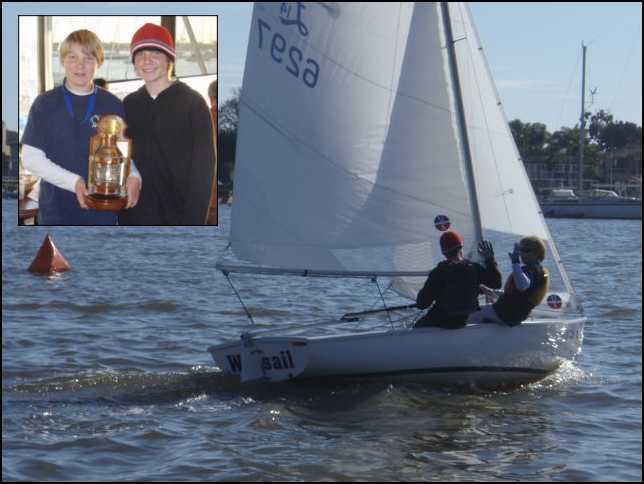 Today the phenomenon that encouraged Dave Ullman to create and support the B sailor is largely changed. 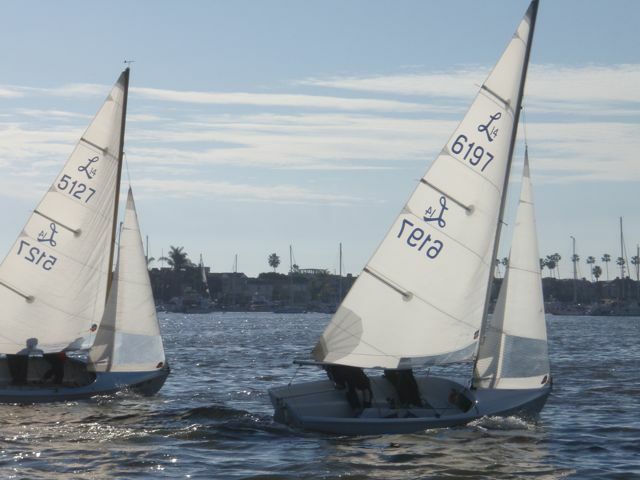 Though the A/B system remains, the rules of how one transitions between A and B have changed drastically (basically, anyone can sail as an A or as a B until they win a B event...and then they have to sail at the A level for a minimum of 13 months). 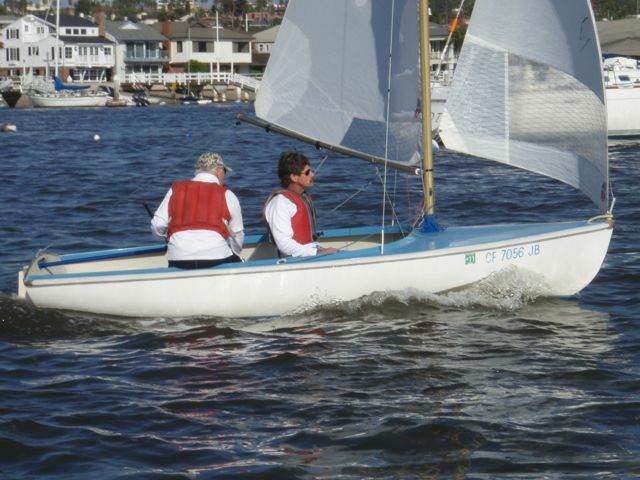 As the rules and popularity of Lido 14 racing changed, so did the Ullman B. 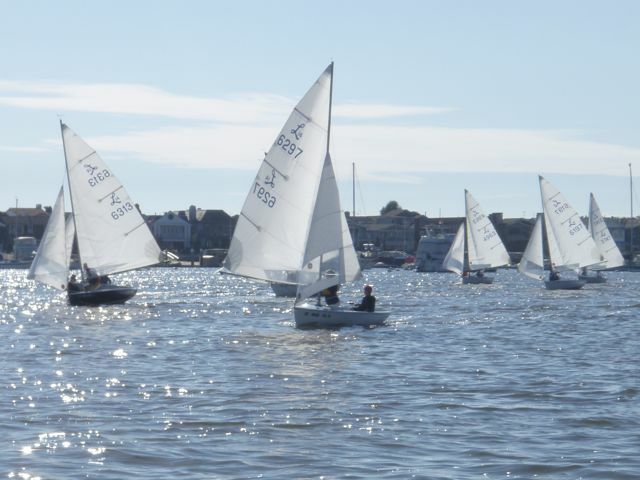 Today, the event supports the B sailor by focusing on education and coaching to bring their skills up and to introduce them to racing at the same time. 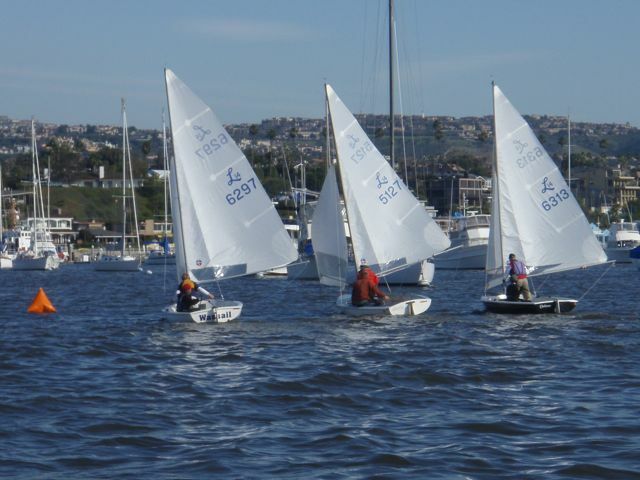 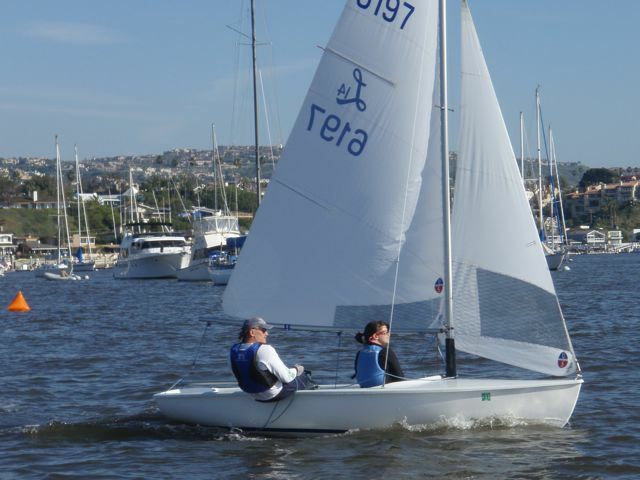 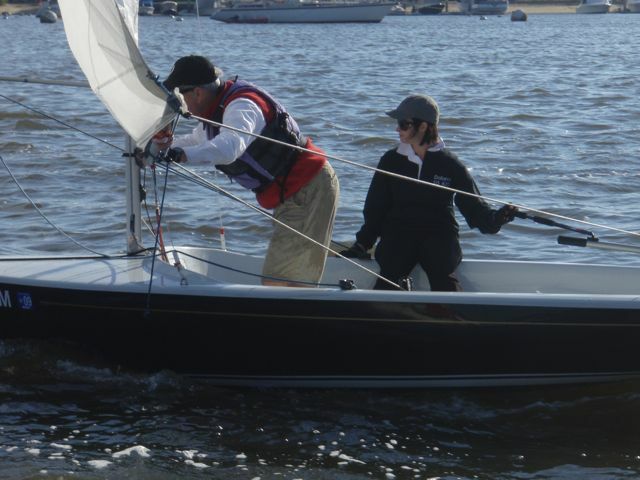 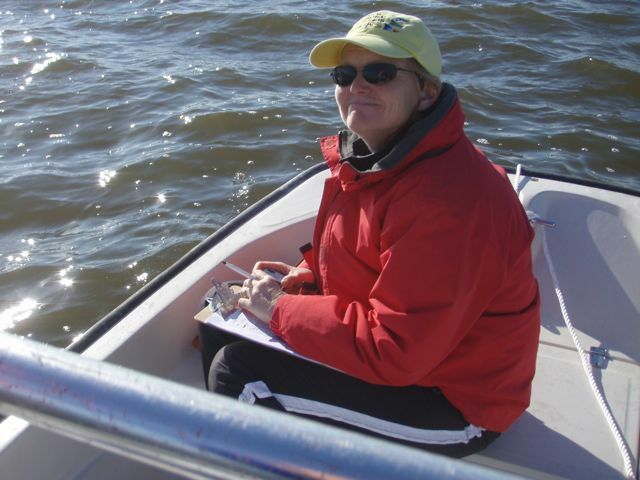 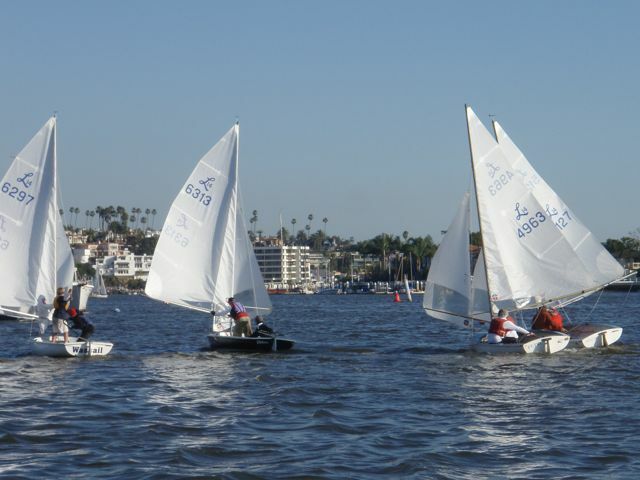 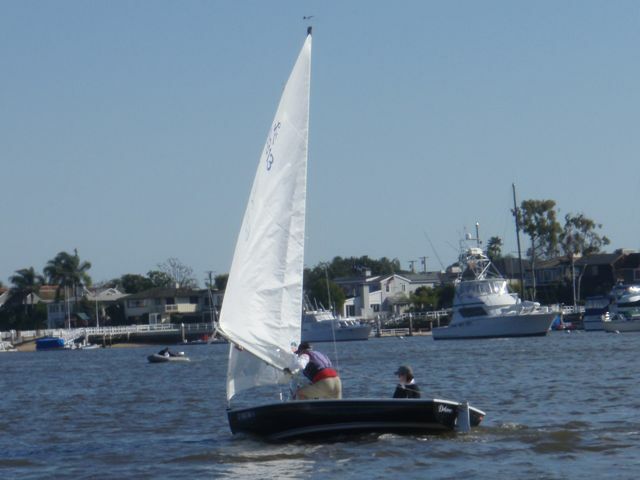 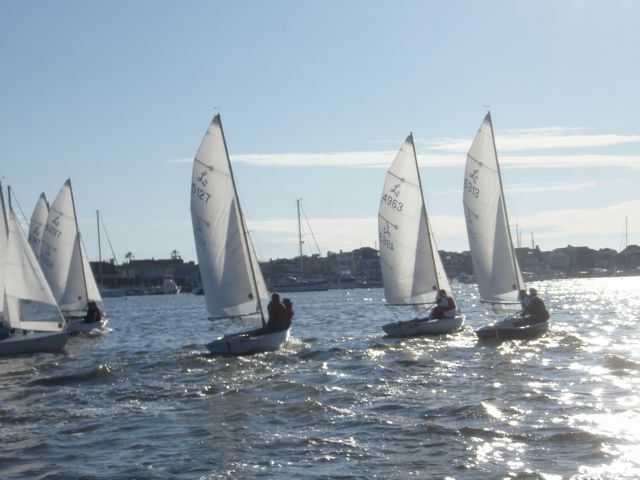 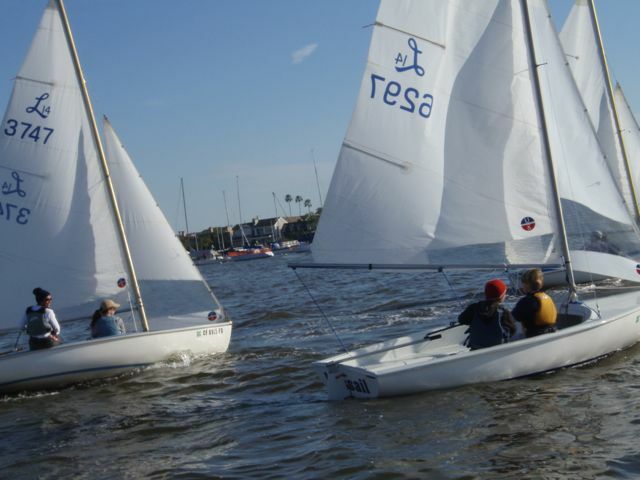 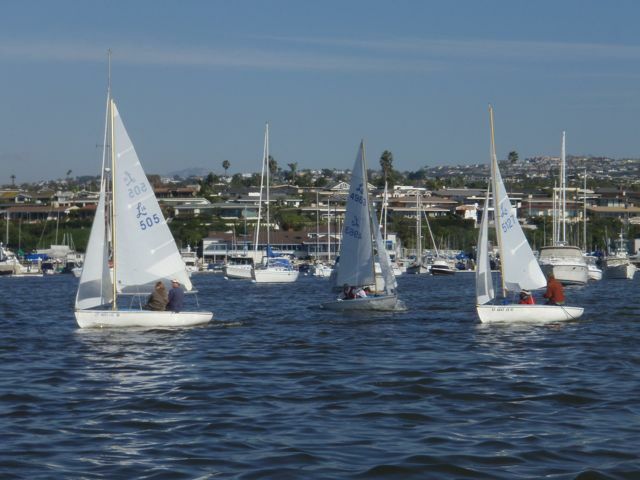 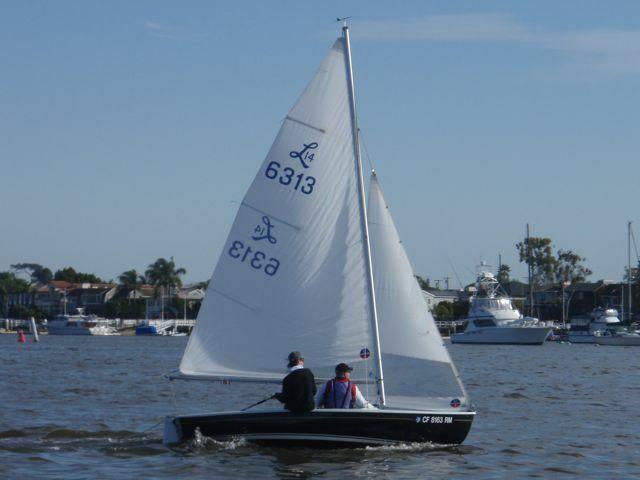 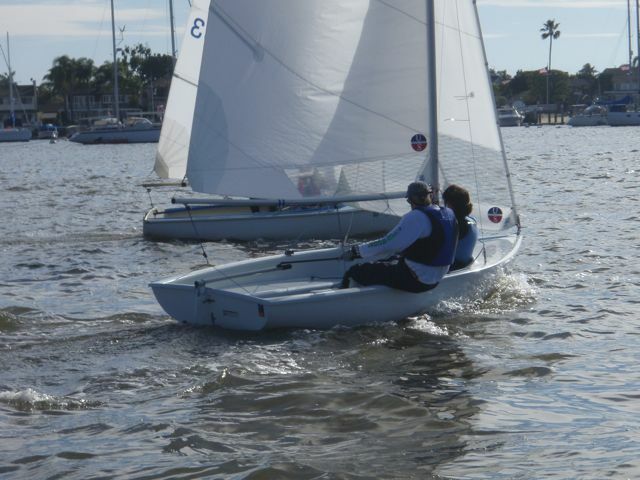 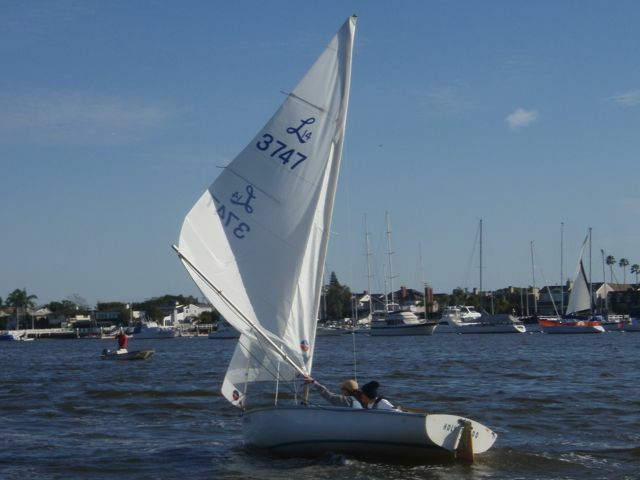 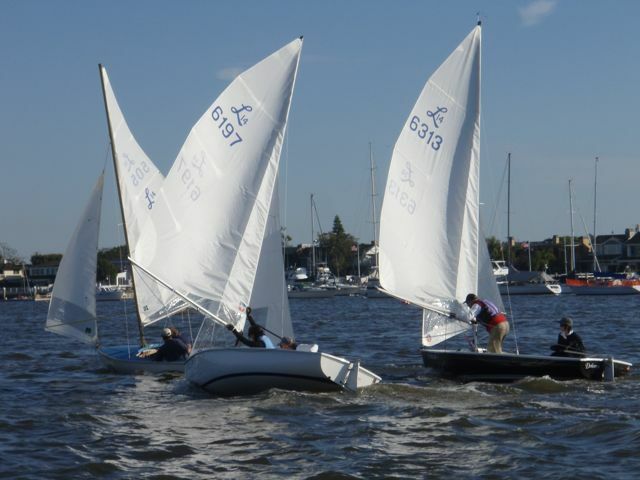 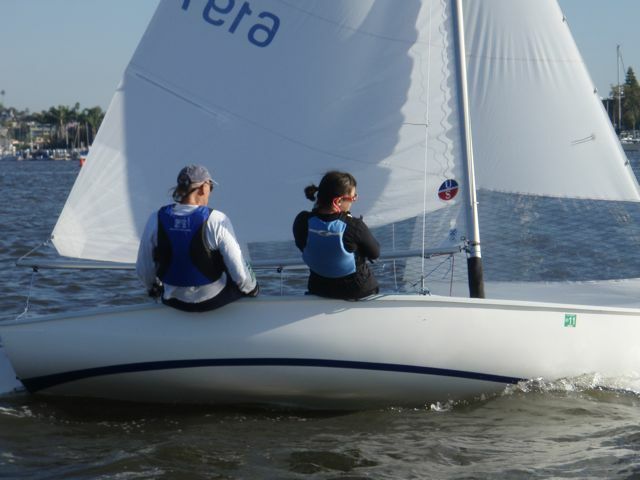 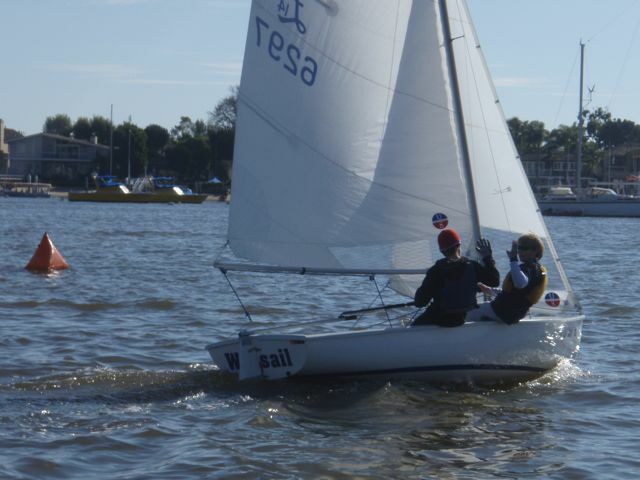 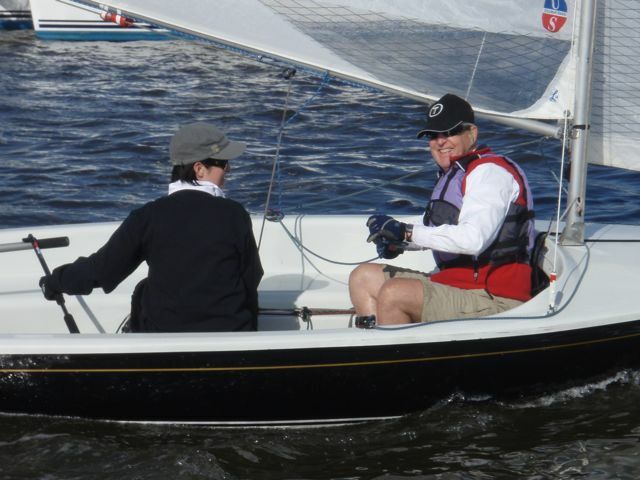 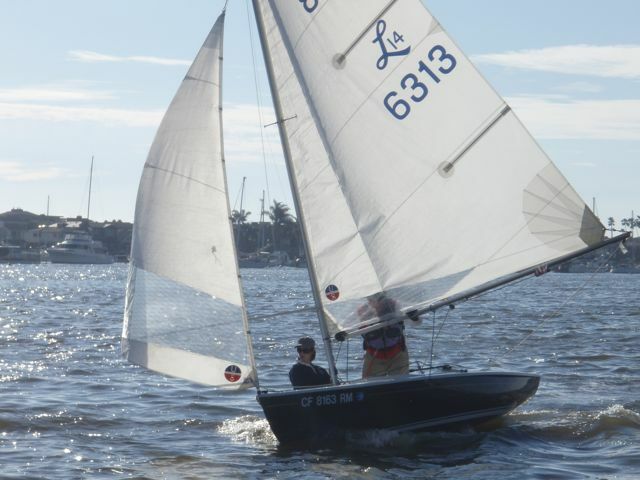 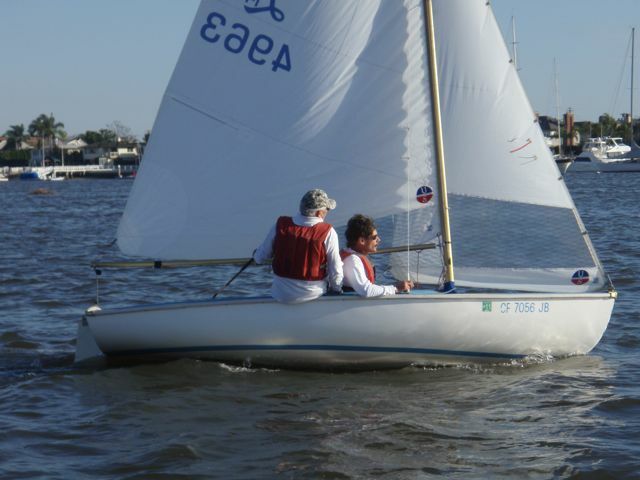 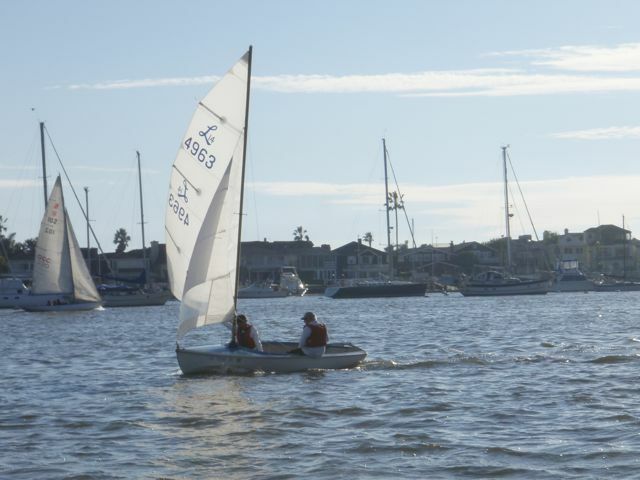 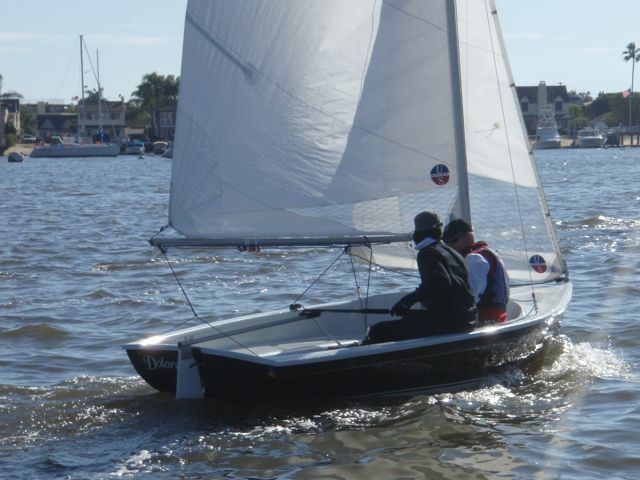 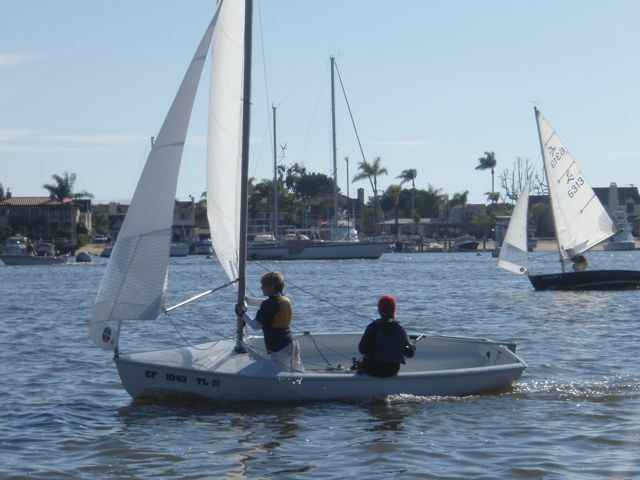 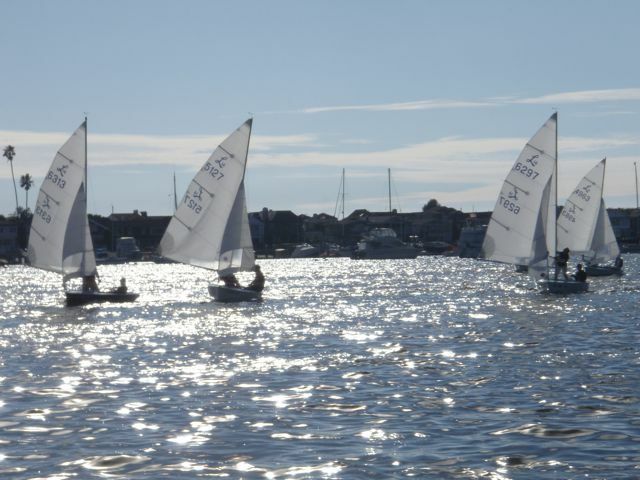 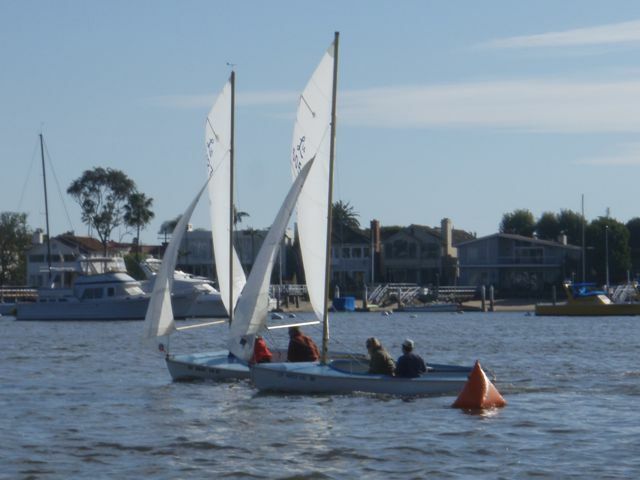 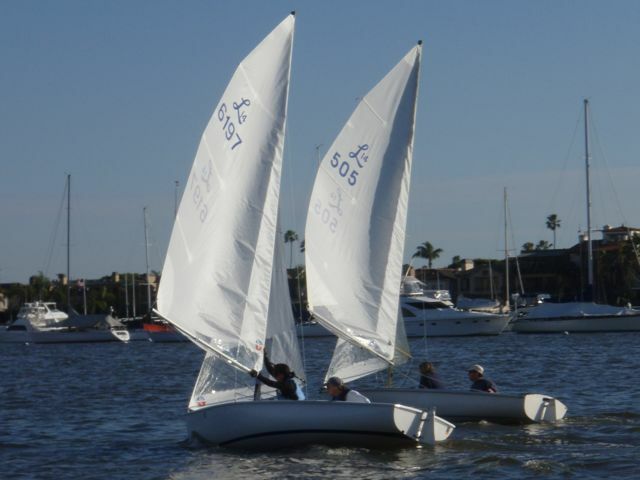 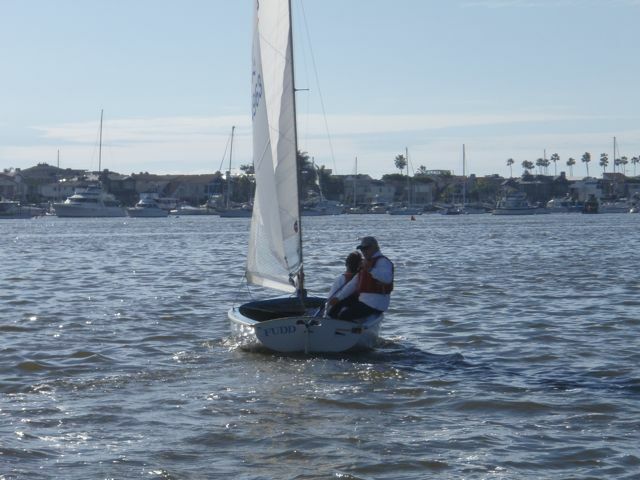 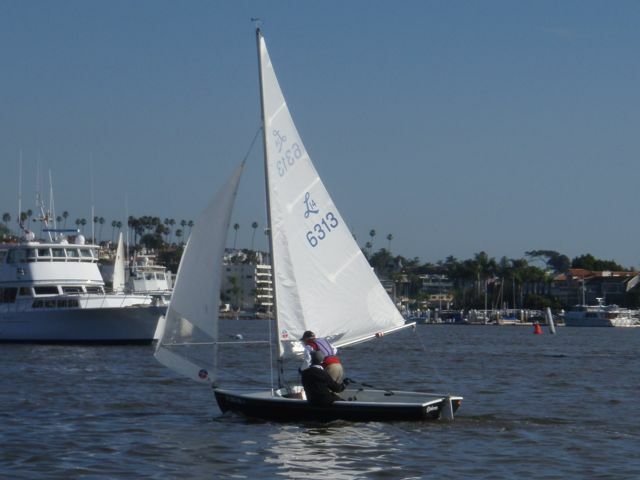 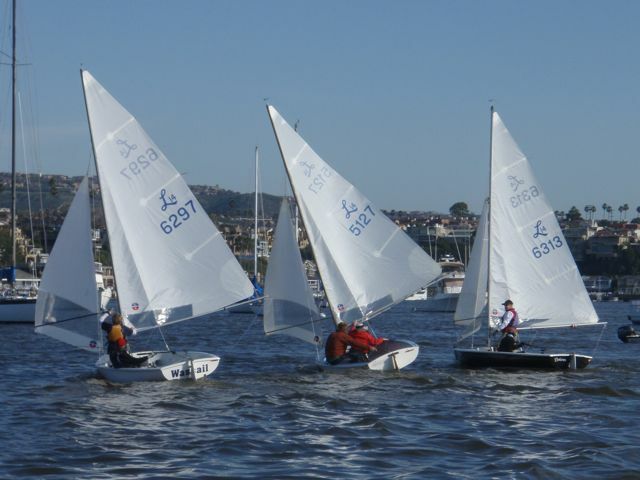 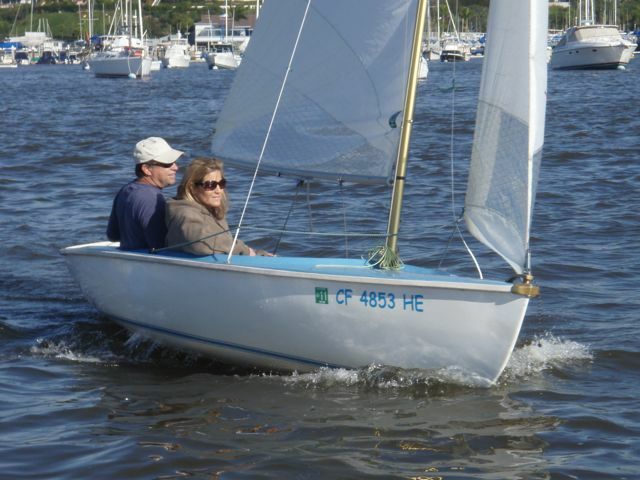 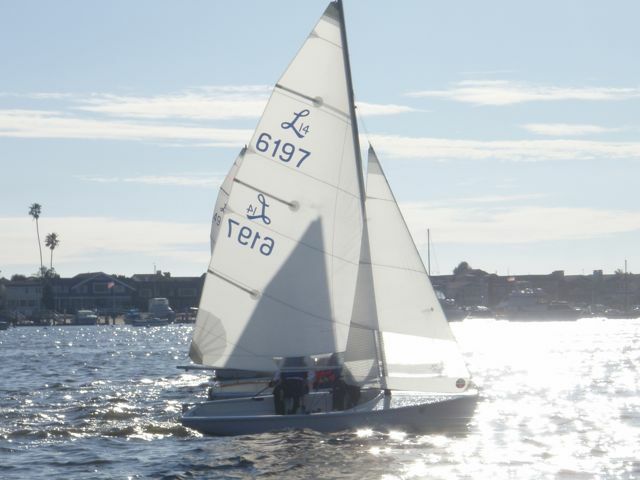 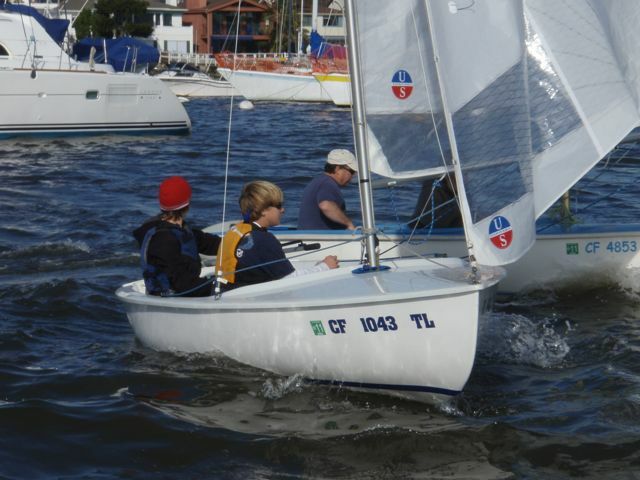 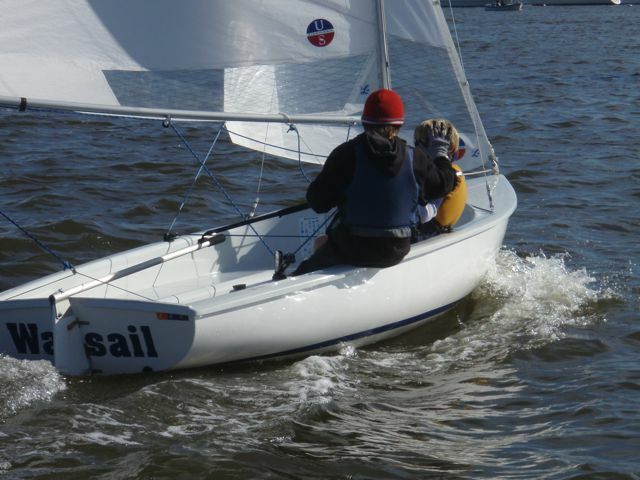 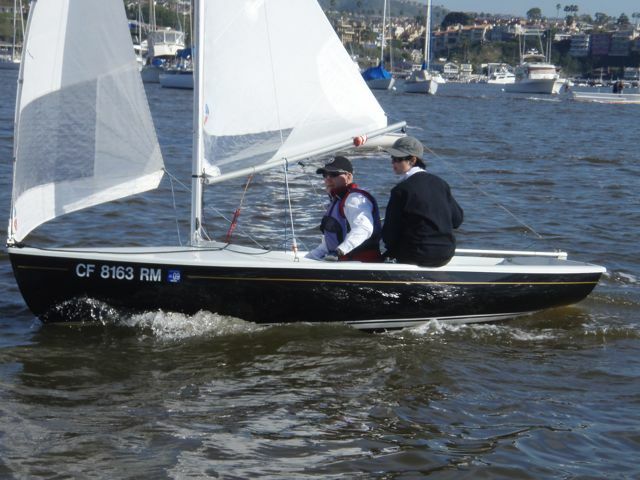 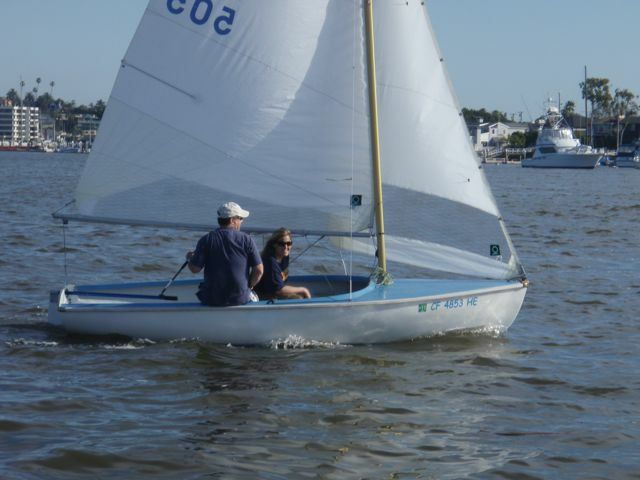 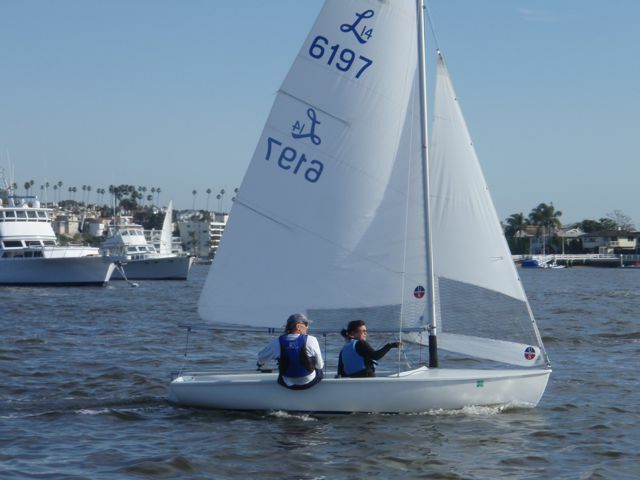 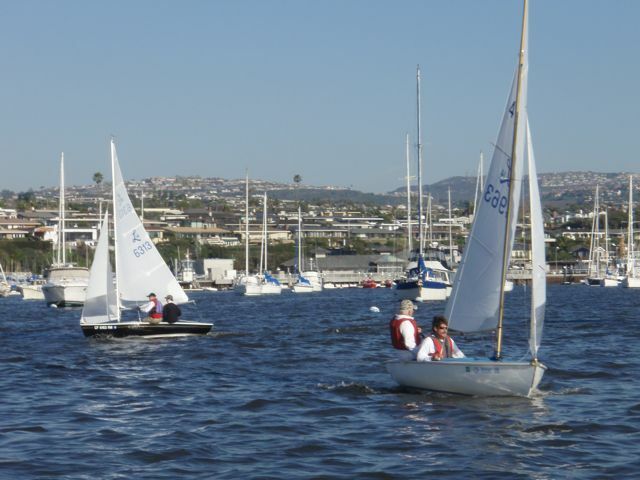 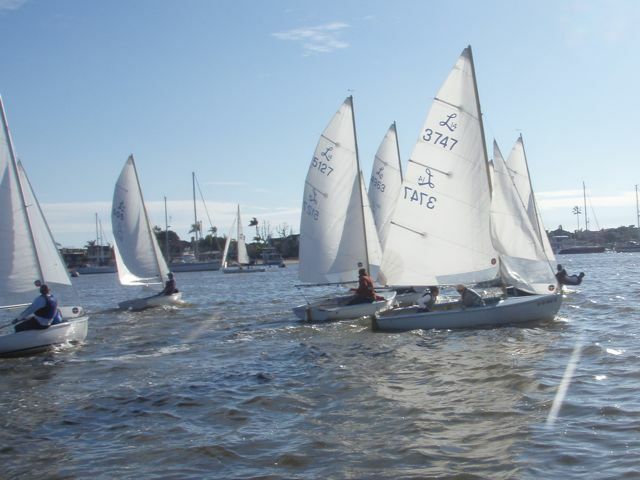 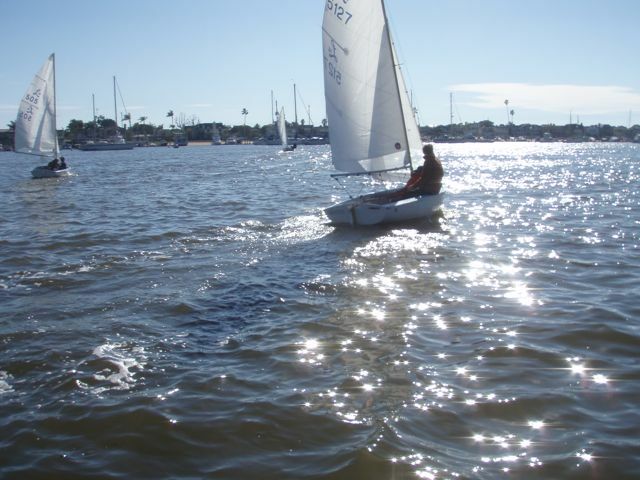 To that end, the event consists of both a clinic and a regatta where novice and intermediate sailors can very quickly learn many of the fundamentals of small boat racing. 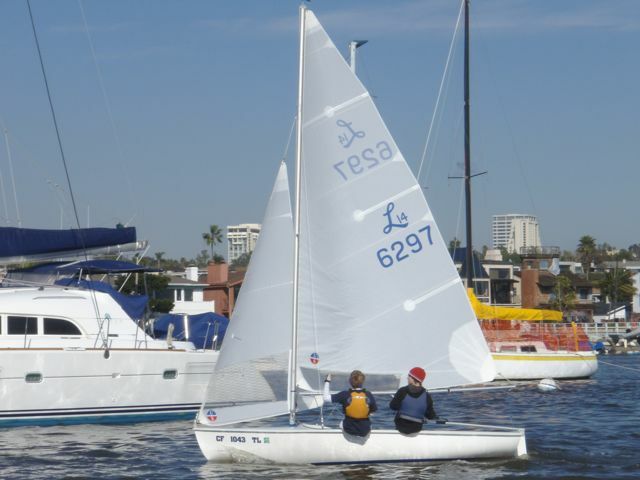 The event is roughly broken into two segments: a morning session with lectures and Q&A on tactics, strategies, and racing rules and other topics of interest to aspiring racers. 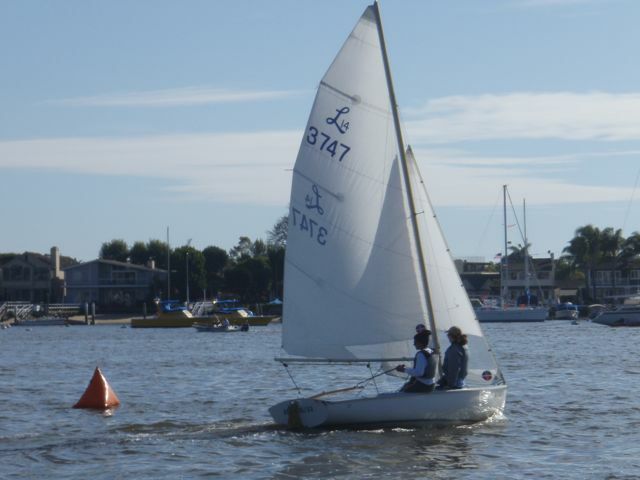 The afternoon is dedicated to a series of races for the Ullman B Perpetual Trophy. 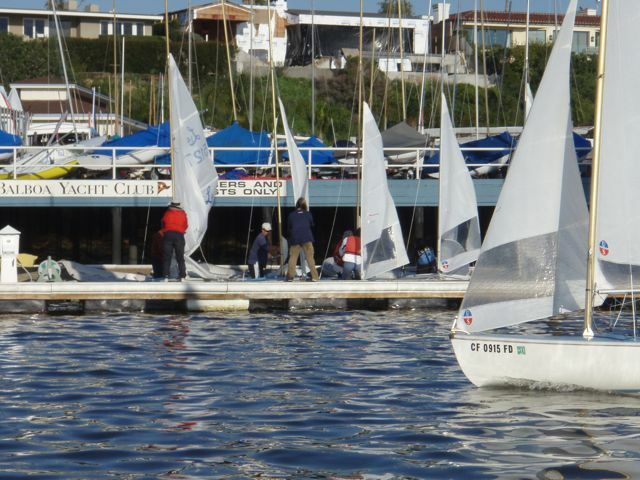 If you have any questions, please don't hesitate to contact regatta chair John Papadopoulos via email (jakp@mindspring.com) or by telephone (949) 466-0888.